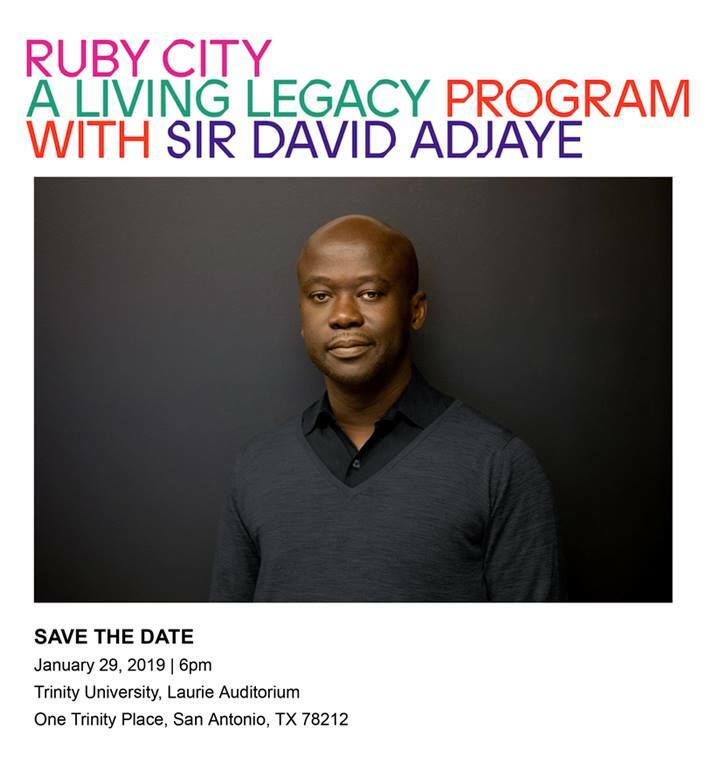 Ruby City is pleased to announce Ruby City: A Living Legacy, a special, two-part program with Sir David Adjaye, in honor of the completion of the new contemporary art center, designed by the award-winning architect. The first program, A Conversation with Sir David Adjaye, will be held at Trinity University’s Laurie Auditorium on Tuesday, January 29 at 6:00pm, during which Adjaye will discuss the creative process behind Ruby City, his first architectural project in Texas, as well as his collaboration with the late artist and philanthropist Linda Pace, whose drawings inspired his designs and material palette. In particular, Adjaye honors Pace’s striking force by adorning the building’s exterior with a precast concrete fabricated in Mexico City and is imbued with a rich red hue that is composed of minerals and glass which glistens in the sunlight. The second program will take place in October 2019 in conjunction with Ruby City’s grand public opening and inaugural exhibition.